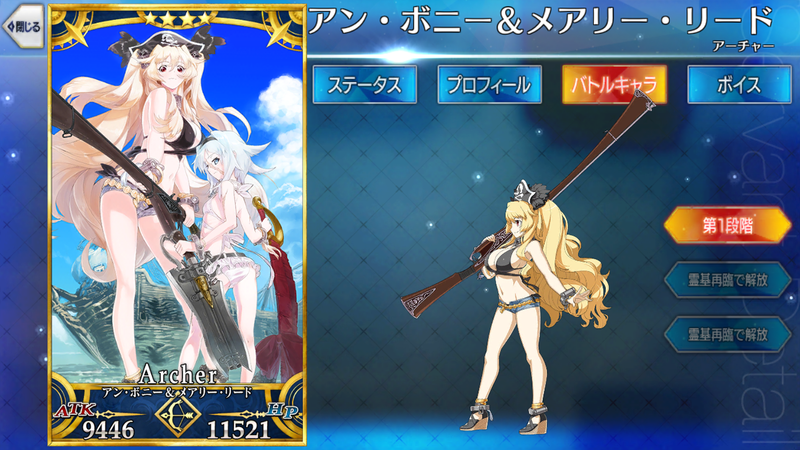 This article contains the stats, strategy, and guide for Archer - Anne Bonny and Mary Read. We will update this as soon as the game comes out. Absorption and gain critical stars for one turn. Inflict Defense down (3 turns). Anne Bonny and Mary Read are two pirates. As female pirates, not many of the male pirates take them seriously. The two girls have distinct personalities: Anne is more clingy and affectionate. On the other hand, Mary Read sulks and has a more tsundere personality. As they are both pirates, they are also master armsmen in terms of using rifles. Because of their time in sea, Anne Bonny and Mary Read (Archer) have a close attachment to the water. In their Beach Form, they often don their swimsuits. For both girls, there’s no problem. After all, they are pirates. All you have to do gain their allegiance is to parley with them. Shouldn’t be that hard, eh, mate?